Even if Charles Loring didn’t know Florence Barton earlier he certainly would have gotten to know her in 1867. That year, as Asa Barton noted in his journal, the Loring family moved in with the Barton’s for three months while the Loring’s were having a new home built. The Loring’s returned the favor the next year when Barton rented his house for $1,000 for a year and moved in with the Lorings. Florence would have been 17-18 at the time. Charles and Emily’s son, Albert, would have been 10-11. The Loring’s daughter, Eva, had died as an infant in 1863. Loring later claimed in a letter to George Brackett that it was while burying his baby girl in Layman’s cemetery that he vowed to create a more beautiful cemetery, the first step toward the creation of Lakewood Cemetery by Loring, Morrison, Brackett, Barton and others in 1871. Barton was elected the first superintendent of the cemetery, a position he held until 1884. He was replaced by Ralph Cleveland, son of Horace, the man who probably did more than anyone except Loring to guide the direction of Minneapolis park development. Florence Barton likely wasn’t much aware of Charles Loring at that time and probably would have muttered the 1860s equivalent of “Ewwwww!” if anyone had suggested him as husband material. Florence travelled in the thin air of the city’s highest society. She had a prominent supporting role, for instance, in the leading social event of 1870 when she was one of four bridesmaids at the wedding of Dorilus Morrison’s only daughter, Grace. The Minneapolis Tribune (March 29, 1870) called it “the most brilliant and recherche wedding that has ever occurred in Minneapolis.” Grace Morrison, whose father was then the Mayor of Minneapolis, married the dashing Dr. Kimball at Villa Rosa, the Morrison’s sumptuous home. (Villa Rosa was eventually demolished when Grace’s brother Clinton donated the old homestead as a site for an art museum — the Minneapolis Institute of Arts.) To extend the image of a powerful circle of friends, I should mention that in addition to her brother, Clinton, another usher at Grace’s wedding was Thomas Lowry. This was, of course, some years before he created a superb street car system and became another of the city’s wealthiest and most influential people. Florence’s passion was music. Asa Barton wrote in 1872 that she was leaving for Boston to study music. She must have had talent, because after a few years of study she returned to Minneapolis and was featured in many newspaper reports of performances in the city. “The concert (featuring Florence) will undoubtedly be one of the most pleasing musical entertainments with which Minneapolis has been recently favored.” Minneapolis Tribune, March 21, 1877. “Four of the best female voices in Minneapolis.” Minneapolis Tribune, October, 1877, on the Cecelia Quartet formed by Florence Barton. Miss Barton was assisted or accompanied at some performances by her advanced music students, suggesting that she had a successful music-teaching business. During this time the first evidence is found that Miss Barton may have developed a relationship with Charles and Emily Loring that went beyond being the daughter of a friend. In 1879, when another wedding was the biggest social event in town, Florence Barton’s gift to the couple was to provide the floral decorations that adorned the home in which they were married, a gift it would seem of a rather intimate friend. The Nicollet Island home belonged to William Eastman; the bride and groom were Ida Eastman and Albert C. Loring,CHarles and Emily’s only surviving child. A magazine clip in Charles Loring’s scrapbooks later suggested that Ida Eastman had grown up like a daughter to the Lorings. Over the years, Florence apparently became a good friend of Emily Loring , too, judging by a society-page report in the fall of 1888 that the two women were travelling to Europe together and would be joined that winter by Charles. In Asa Barton’s last journal entry for 1892, he noted that Emily Loring had been diagnosed with cancer. His next mention of Emily Loring — he referred to her as Mrs. C.M. Loring — was that she died in the spring of 1894. She and Charles had been married 38 years. She had been his partner since they had left Portland, Maine as 23-year-olds to seek their fortune first in Chicago, then Milwaukee, and finally Minneapolis. They had survived together the death of an infant daughter and the death of their 21-year-old daughter-in-law, Ida Eastman, only a year after she married their son, and only two weeks after giving birth to their grandson, Fred. Charles and Emily had apparently taken some responsibility for raising Fred, but in a nightmare reprise of earlier tragedies, Fred died at the age of 6 from diphtheria. It would not be surprising if Florence Barton, an old friend, then 44, presumably living with her parents, provided some solace to Charles Loring upon Emily’s death. I can find nothing about their relationship after Emily died, until an entry in Asa Barton’s journal in October 1895 noted that Florence had gone to Chicago to prepare for her wedding to Charles Loring. Asa knew what no one else did. The Minneapolis Tribune reported November 29, 1895 that the day before guests had arrived at the home of Asa Barton expecting nothing more than Thanksgiving dinner. To their great surprise they witnessed the wedding of Charles Loring and Florence Barton. Charles was 62, Florence 45. It appears from this distance that the marriage was of kindred souls who were otherwise alone, despite an apparent multitude of friends. 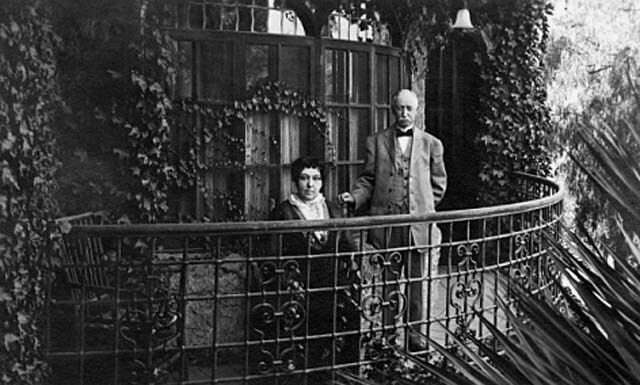 Charles Loring’s money could not have been the primary attraction for Florence Barton as he had declared bankruptcy two weeks before they were married. He remained a wealthy man, but it took some time to clear up his finances. And it seems equally unlikely that Loring was marrying a considerably younger woman simply for her youth and beauty. A gentleman of the old school well advanced in years, Mr. Loring came to the office occasionally to talk — asked us to his home for dinner. His wife was a plain, wholesome, very intelligent woman. They lived without ostentation, although people of large means. Florence Barton Loring became Charles Loring’s partner in philanthropy. They also shared an abiding interest in horticulture, parks and playgrounds for children. Florence wrote several letters to editors of newspapers and magazines (locally and nationally), especially on the topics of parks and playgrounds and she maintained membership, in her own name, in the American Park and Outdoor Art Association, which her husband served as president at the turn of the century. She also wrote an informative article on music at the time of the American Revolution for The American, a monthly magazine of the Daughters of the American Revolution, in 1898. 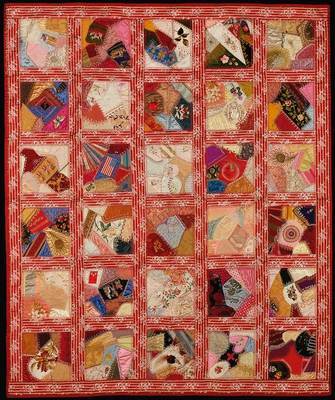 Several years later, about 1905, along with a few friends, she created a “Crazy Quilt” of the kind popular at the time, scraps of significance sewed into squares, which remains in the collection of the Minneapolis Institute of Arts. The Bartons and the Lorings had always been active in Minneapolis charities — the Relief Association, Children’s Home Society, a free dispensary — and Charles and Florence continued that interest in Minneapolis and Riverside together. 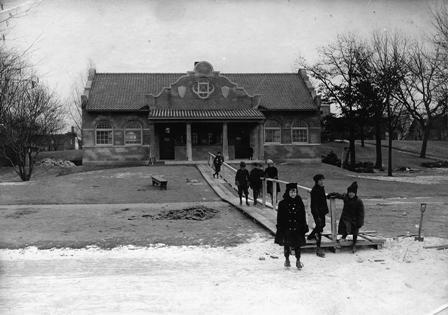 In 1906, upon leaving the Minneapolis park board for the last time, Loring donated a shelter building on the shores of Loring Pond. It still stands — although greatly expanded. In 1917 he paid to have an artificial waterfall built beside Glenwood (Wirth) Lake and in 1921 he paid to have Victory Memorial Drive planted with trees honoring fallen soldiers and established a fund of $50,000 to pay for the care and maintenance of those trees long into the future. In Riverside, the Lorings were also generous with civic improvement projects. Florence also donated money to build an animal shelter and a home for student nurses at the Riverside hospital. 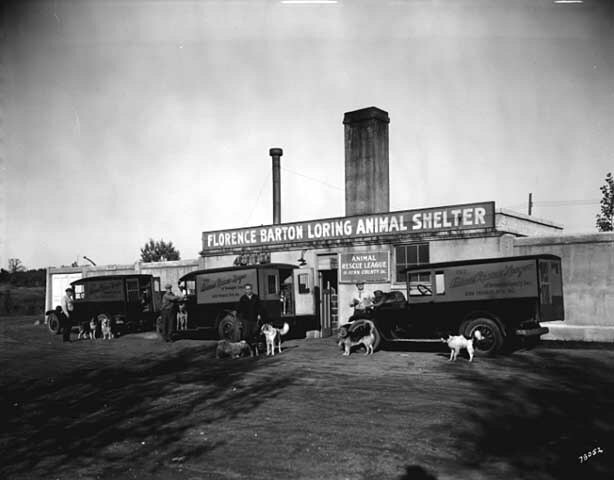 In the 1920s, she donated money for the Florence Barton Loring Animal Shelter in Minneapolis, which stood until the 1960s. One other thing the Lorings shared was a love of poetry. Thus the remembrance book of poems Florence Barton Loring compiled after her husband’s death, which prompted me to write about her in the first place. Florence Barton Loring lived only two years longer than her much older husband. She died in 1924. Dave, thank you as always for your attention to detail and to getting history right. I recently came across an animal humane society story about Florence and wondered about her relationship to Charles. Naturally, you had covered this in the above story. (And yes, I pulled out the lovely book of poetry compiled by Florence after Charles’ death that you gave me as a gift when I left MPRB.) I miss our talks about history…. Thanks, Renay. Nice to hear from you. Glad to know you’re still finding useful info here!